Since opening our cafe doors in September 2012, Pleasant Pops has grown from a small batch pop producer into a delicious lunch spot, local grocery market and dependable latte destination. Along with our desire to bring our customers the very best in each department, the one ingredient that makes each bit of Pleasant Pops possible is our rich dairy ingredients from Trickling Springs Creamery. From our ever-popular Cookies’n’Cream pop, to our spiced Chai Latte to the perfect yogurt parfait to start your day, we rely on Trickling Springs to add a creamy and crisp taste to many of our products. 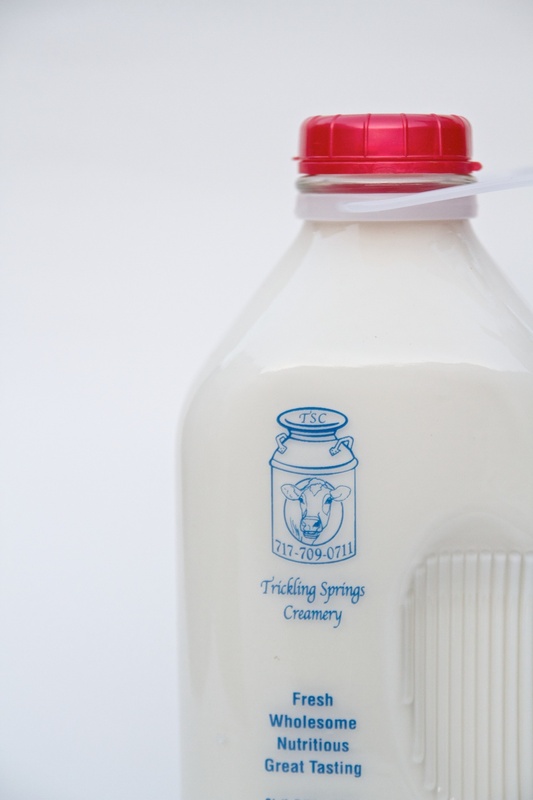 For over a decade, Trickling Springs Creamery has operated out of Chambersburg, PA buying its milk from nearby farmers with whom they maintain strong and honest relationships. As they have long dedicated to only using milk produced by grass-fed, healthy cows, they have found success in bottling milk, churning butter, making yogurt and much more. Within their extensive line of products, Pleasant Pops is proud to carry many: both quarts and half-gallon bottles of whole and non-fat milk, eggs by the dozen (both natural and organic), 6 flavors of yogurt (black cherry is a staff favorite), both salted and unsalted butter, blocks of cheddar cheese, and chocolate milk (not to mention egg nog during December)! Make sure you stop by Pleasant Pops soon to taste the goodness yourself; grab a Chongos pop, a large latte or some eggs and butter (for that new cookie recipe you found online) and we promise you’ll be thrilled to taste the Trickling Springs difference. Older PostSpring is on the menu!